Pig Pile® is available for $15.95 from R&R Games. 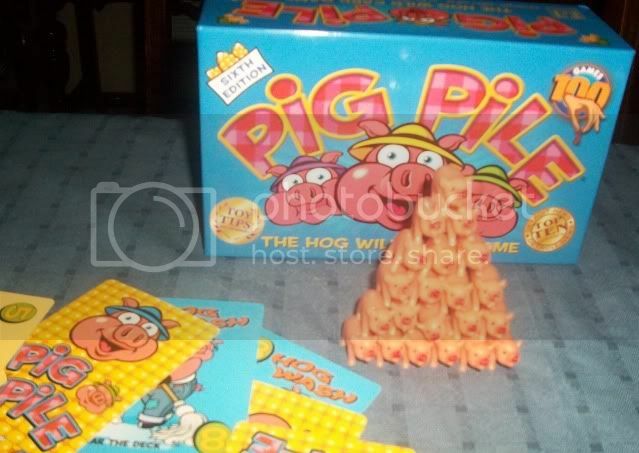 One of the first things I noticed about the game Pig Pile when viewing it online was the little plastic pigs. I work with children, often addressing fine motor skills, and like being able to offer different manipulatives to keep their interest. These cute little pigs are just over an inch long. 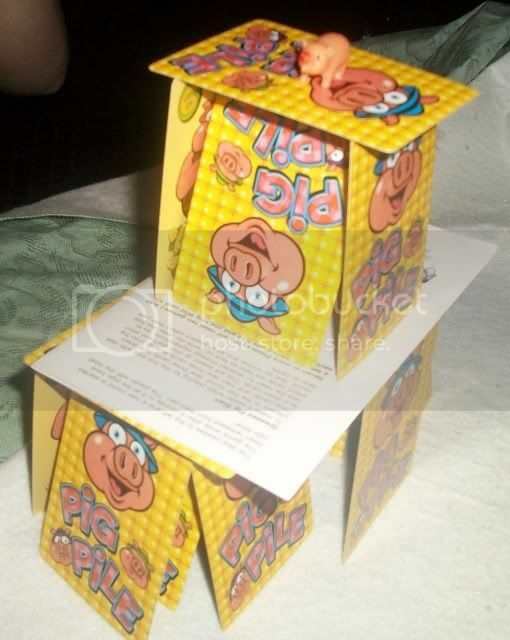 Just the pigs alone are useful, and combined with the cards have the potential for many different games to encourage proper grasp patterns. Emily had fun making her own pig pile. Joseph used them to write out math facts. Most of the the cards have numbers on them (though there are some fun extras like the hog tied cards.) You can have children count out the number of pigs that matches the number on a specific card. Designed for ages 7 and up and 3-6 players, my 7 and 12 year old quickly adapted the game for a 2-person version until their big sister and a friend joined them. The rules were easy to follow, though we ended up adapting it so the kids could accumulate more pigs as that was the most fun part of the game. The jig's up! The pig squealed! Over 39 Pink Pigs crammed into a little box! Now it's up to you to let them out! No mud slinging allowed in this fast-paced family game where players compete to corral the most pigs. Get rid of your cards first and be awarded the prime pile of pigs. Sounds easy, but pigs can be slippery! The more cards you have, the better your chances of calling out HogWash! and clearing away the deck! But don't hog the cards too long or you'll get stuck. The player with the largest stockpile of swine after the final round wins. Quick thinking and clever card play determine how high you'll heap your hogs. Created by award winning designer Richard Borg. ...And they have a special offer for you! This will allow your readers to receive 20% off any purchase from our website and is good until the end of the year. 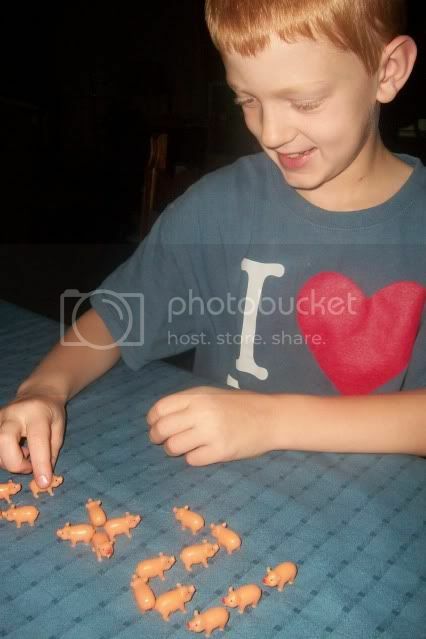 Disclaimer: As a reviewer for the 2011-2012 TOS Homeschool Review Crew, I was given a copy of this game (80 cards, 40 Pink Pigs, and illustrated rules) for the purpose of this review. 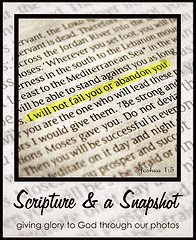 Be sure to check out other reviews at the TOS Homeschool Crew Blog. Great review! I wasn't on this one but I know my kids would love it!